Cute Flower Comforters and Bedding Sets for a Floral Bedroom! I LOVE Cute Floral Bedding! Flower comforters are the best kind of cute comforters for girls and girly women! We love flowers and flower stuff! Here you will find the most beautiful flower comforters and flower bedding sets ever created! Make your bedroom look like a beautiful flower field! Cute flowers have the power to improve your mood and cheer you up! 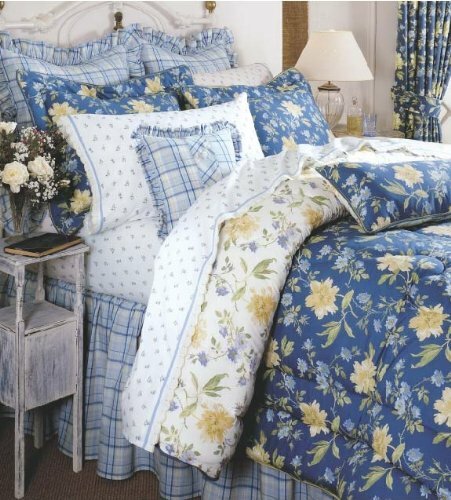 *This gorgeous floral comforter set in the picture will instantly brighten up any bedroom! I love the big and colorful flower prints on the white background! It comes with one full comforter, one full flat bed sheet, two pillowcases and two standard shams. Here are more of my top favorites! Stunning 3D Sunflowers Bedding Set! Have you ever wondered what it would like to be standing in a gorgeous sunflower field? In my opinion this is one of the most beautiful and cheerful flower bedding sets available! It is actually a gorgeous and bright 4-piece sunflowers queen size duvet cover set. The beauty of duvet covers is that you can snap them on any old comforters you have and make them brand-new!! When I look at it, I instantly imagine I am in a beautiful and breezy flower field! 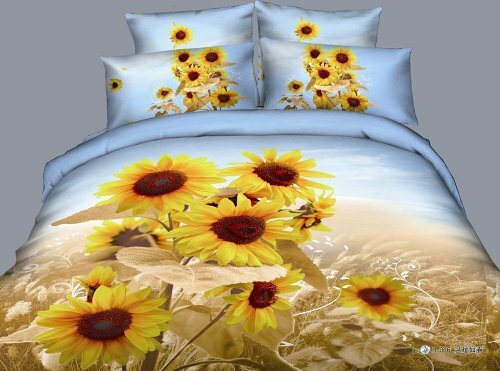 *Here are my top favorite 3d sunflowers bedding sets for sale! 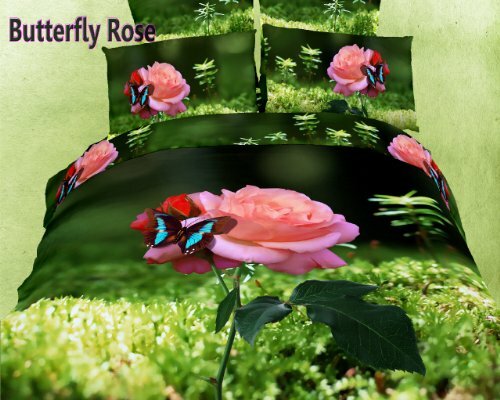 What a gorgeous pink rose and butterfly duvet cover! Gorgeous blue floral comforter set for women! Look how lovely this bedroom looks just by adding a cute floral comforter! It is sewn with cotton shells and polyester filling, making it very soft and very cozy! This set includes the comforter, two shams and the bedskirt. Now I am definitely in flower comforter heaven! Have you ever seen a more beautiful and more colorful flower comforter in your life? The cute blooming daisies are so adorable! 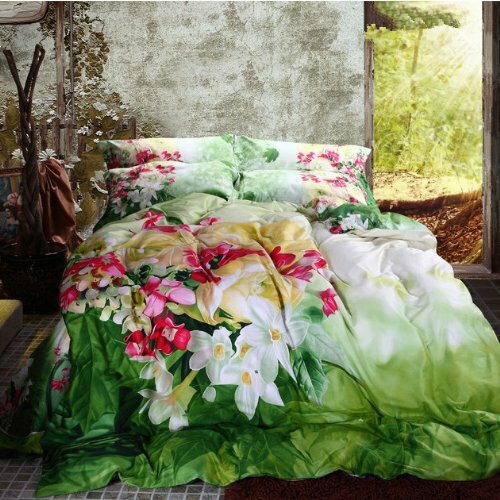 I had to show you another gorgeous and very floral duvet cover! I an almost smell the fresh flowers! Are you gasping for air right now? 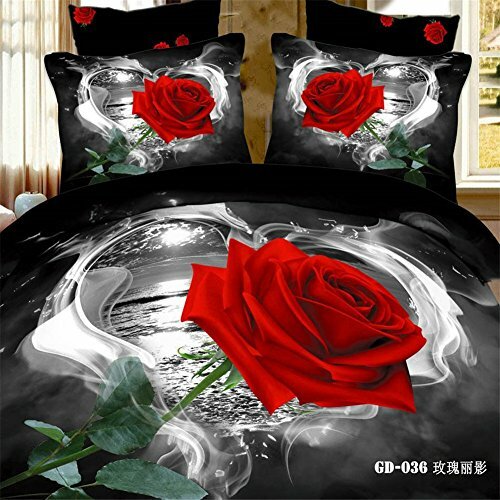 Have you ever seen a more beautiful and romantic flower bedding set than this red rose duvet cover set? It comes with the duvet cover, one flat sheet and the two gorgeous red rose pillow cases. 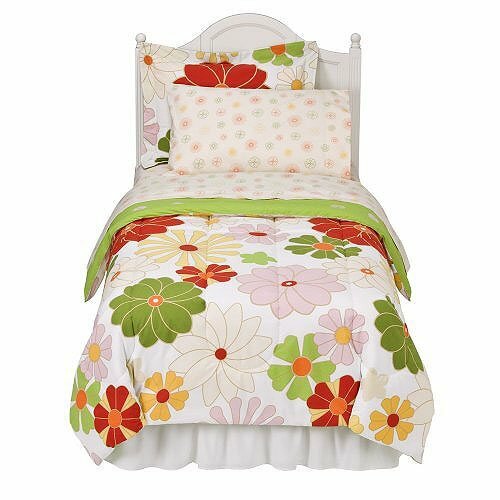 Cheerful Flowers Comforter Set for Girls! How about a splash of cute and colorful flowers in your bedroom? 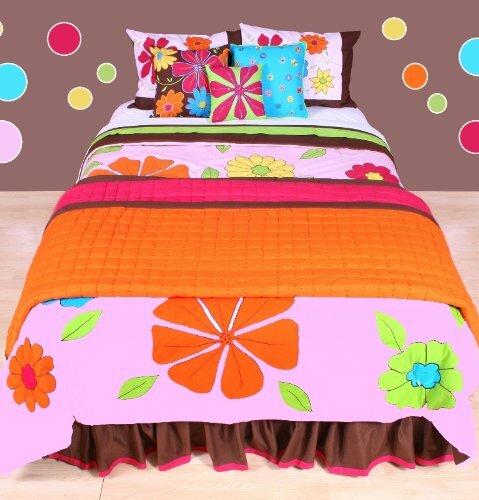 This has got to be one of the most colorful and cheerful flower comforters! 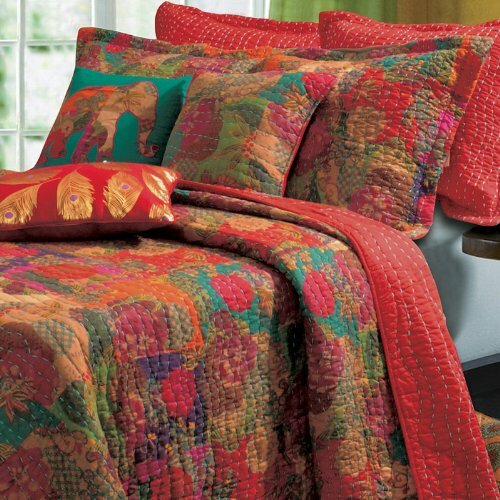 What a colorful vibrant floral quilt set! What a great way to add an explosion of colors to any girly lady’s bedroom! You will also get two pillow shams with the floral quilt! 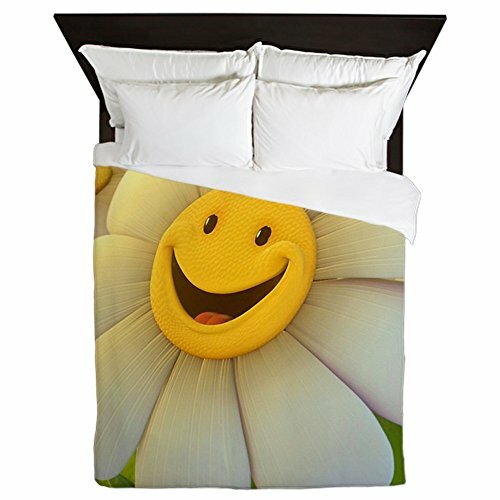 This is a gorgeous daisy flower smiley face duvet cover set for sale! What a girly bedding set! Another cute and girly floral duvet cover set! Just add any old comforter inside the beautiful duvet and voila! Your bedroom will magically transform into a beautiful flower field! *I hope you enjoyed my selections of cute flower comforters and bedding sets here! I am looking for the Victoria Classics Savannah, 8 piece queen size set or just the comforter. Please reply to the included email address if you have either as I would like to purchase one or the other as a Christmas gift for my wife of many years. Thank you. Hi John, thanks for visiting! Just click the picture and it should take you to the store where you can make your purchase. I only make recommendations. Sometimes the pieces go unavailable and I try to find similar ones as I can.